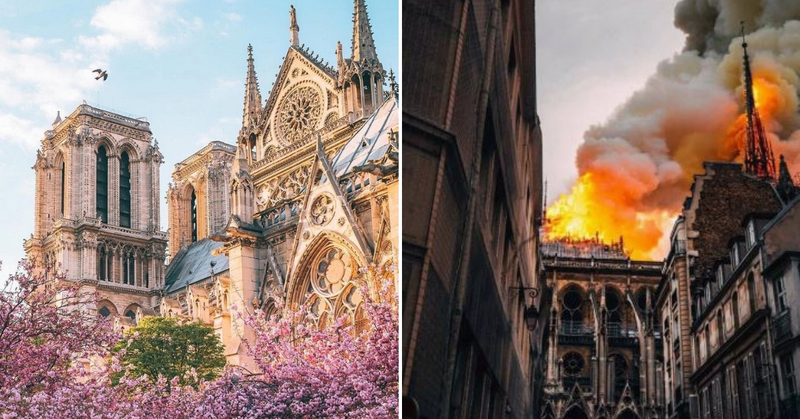 The world is terribly saddened with the destruction of Paris’s historic Notre-Dame Cathedral after a massive fire. This iconic monument survived the revolution, plague, and world war for over 800 years and just 6 years ago, the Parisians celebrated its 850th anniversary that has marked the jubilee year for the cathedral. Aside from its iconic history, Notre Dame was also known for its remarkable architectural details that make such a beautiful house of worship. This tragedy was indeed a heartbreaking one and many took to social media to express their grief and fond memories they had for this beautiful heritage building. “We will rebuild Notre-Dame. Because that’s what the French expect, because it is what our history deserves and because it is our underlying destiny.” French President, Emmanuel Macron voiced it out to the public after the fire. And as of now, the fundraising campaign for the reconstruction has begun, with a GoFundMe page set up here since the fire broke out. Our hearts go out to the people of France and Catholic parishioners of the Notre-Dame Cathedral. Fingers crossed that there are no casualties involved in this fire.